After a rainy weekend, Spain can expect more showers and storms this week… but glorious sunshine could be on the way come next weekend. The weekend was a washout across Spain, and the heavy rain will continue well into the week according to the country's weather agency, Aemet. The provinces of Cádiz, Huelva, Seville, Huesca, Tenerife, Avila, Salamanca, Barcelona, Girona and Cáceres are on alert for rain, and the province of Lleida, for rain and wind. The provinces of Asturias, A Coruña, Pontevedra, and Menorca are on alert for wind and high waves. The western Canary Islands are also set to experience high winds, and rain is forecast across the islands. 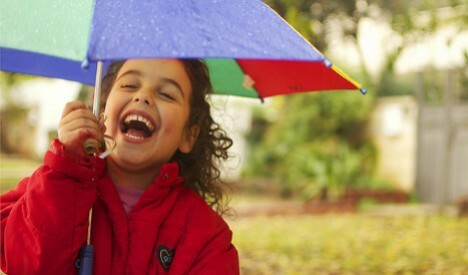 The rain will be heavier in the north-east and central and central-southern areas of the country according to Aemet. Temperatures are forecast to rise in the Balearic Islands but will remain constant throughout the rest of the country. But don't despair, temperatures are set to rise to the early 24C as soon as next weekend, while sunny skies are forecast.